party ideas, that will scare and enchant your guests. Putting on a party for your friends can be a scary thing. 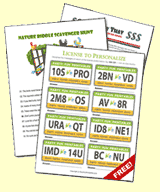 Will they truly shiver on what you put together? In this edition of Party Fun Magazine we'll help you to organize a fabulous Halloween party, perfectly themed for the scariest time of the year. 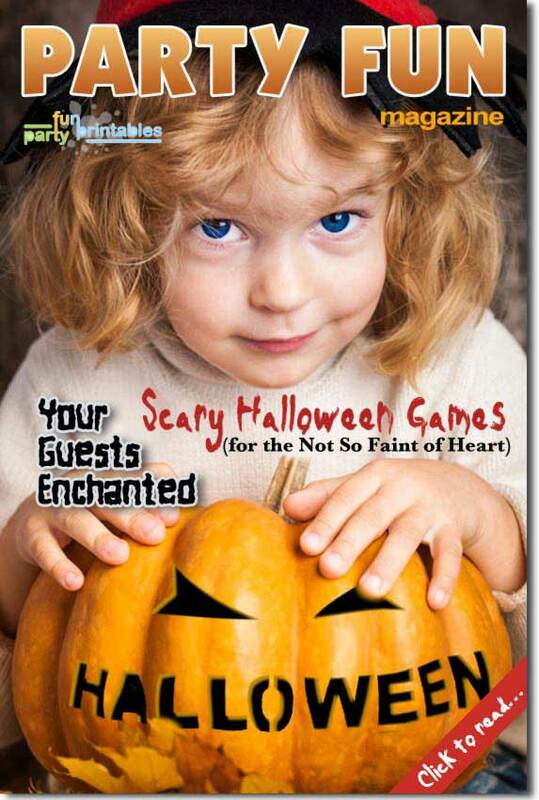 If you are in need of Halloween entertainment that will truly wow and enchant your guests, then this magazine is perfect for you. Filled with spine-chilling games and party ideas to make your party haunt your guests... in their nightmares! 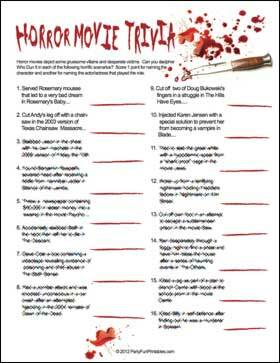 Scare up some party fun with this scary halloween game that challenges guests to recall who dun it based on a short synopsis of scary movie scenes.